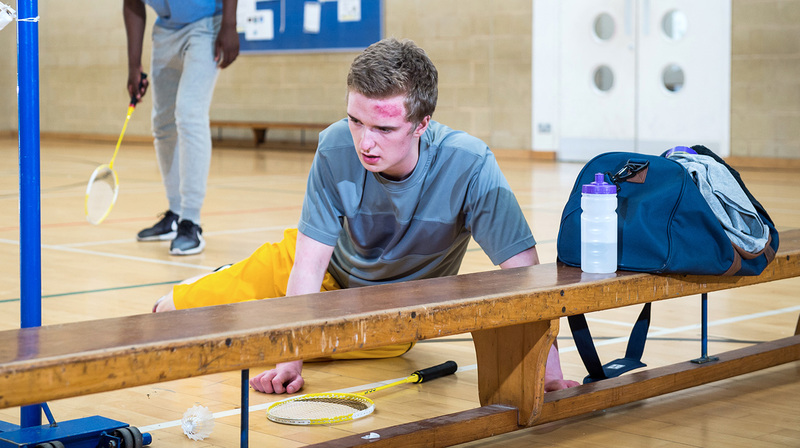 Nick and Simon are playing badminton, when Simon falls and hits his head on a bench. Simon needs help and Nick knows just what to do. 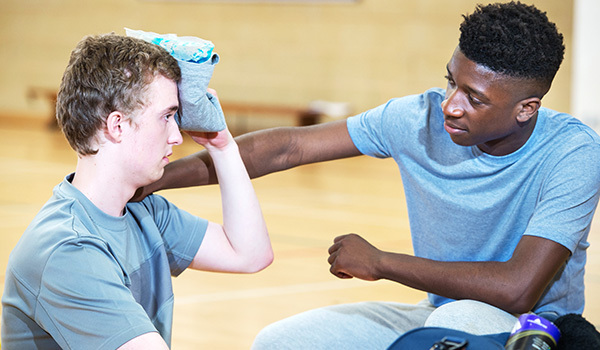 How confident do you feel about helping someone who has a head injury? Simon and I often play badminton together – it’s a tough workout and a good laugh. We were practising for a doubles match when Simon dived to save a shot. 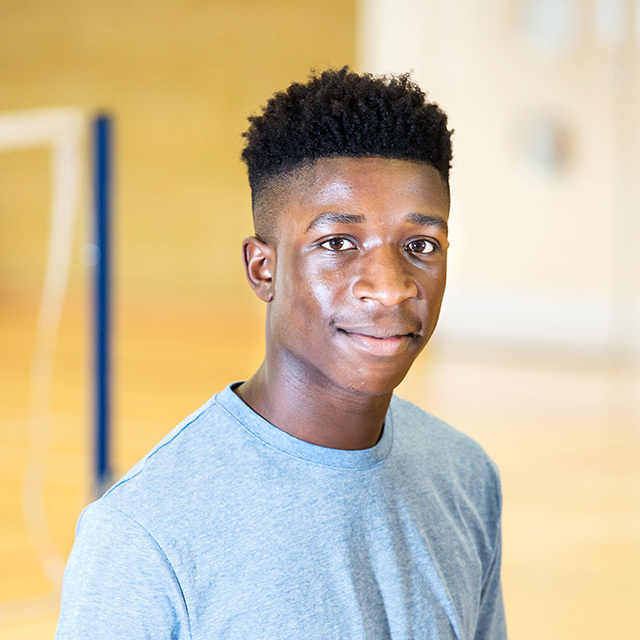 He fell badly – hitting his head on the gym bench on the way down. It looked like a nasty fall so I went over straight away to check if he was okay. Simon said his head hurt and he could feel a bump coming up. It must have been painful to hit his head like that. He hadn’t cut himself though and he didn’t seem to be hurt anywhere else. I quickly grabbed an ice pack from the gym’s reception and headed back to sit with Simon. I wrapped the ice pack in my spare t-shirt and told him to carefully hold it against the bump on his head. I phoned his sister Lucy to see if she could come and pick him up. As we waited for her to arrive I kept talking to Simon. I wanted to reassure him and make sure he wasn’t confused or starting to feel sick or dizzy. I knew those were signs that his head injury might be more serious. When Lucy arrived I told her what had happened. I also let her know what the signs of a more serious head injury were so that she could keep an eye on Simon at home. Nick decided Simon needed help. How do you think you would react in a similar situation? 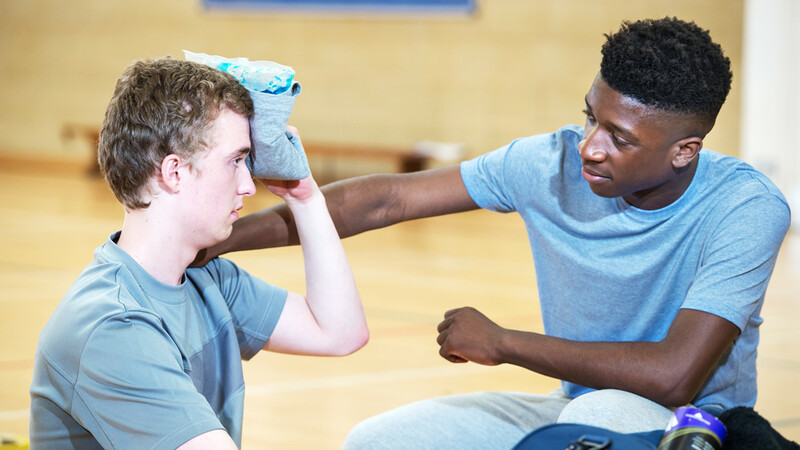 Why is it important to apply something cold to a head injury? 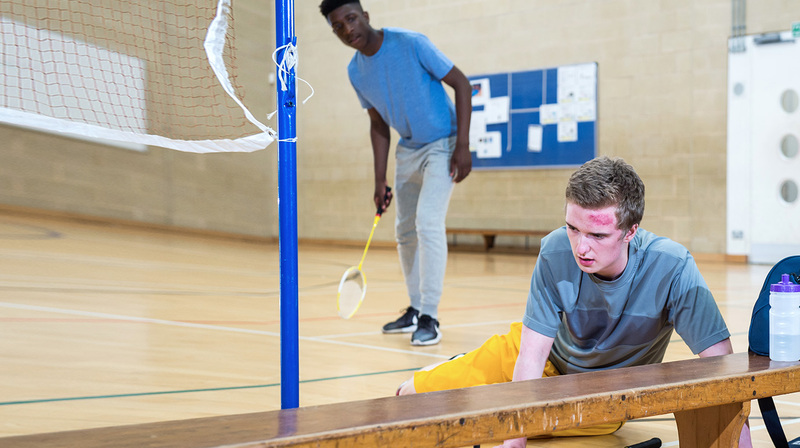 If you think someone may have a more serious head injury, what are some of the signs to look for? How confident do you feel now about helping someone who has a head injury? 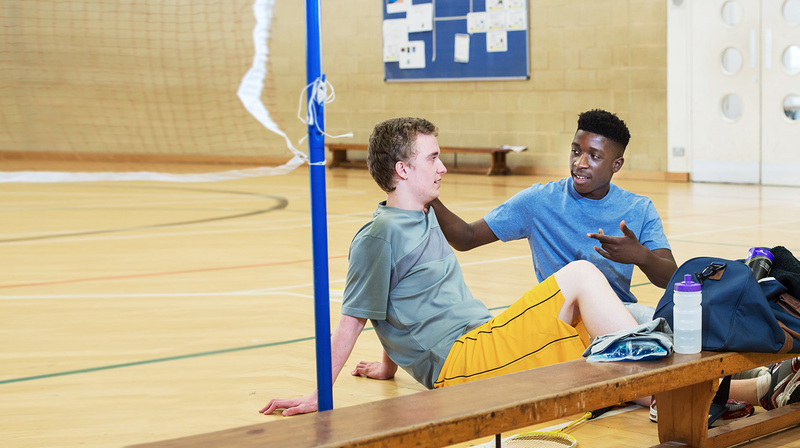 Here are the steps to take when helping someone who has a head injury. 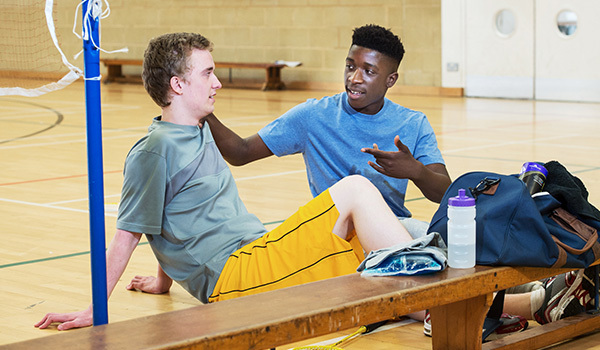 Ask the person to rest and apply something cold to the injury (e.g. frozen vegetables wrapped in a tea towel). If the person becomes drowsy, vomits, or their condition deteriorates, call 999 or get someone else to do it. Test your knowledge of this skill. Download your guide to helping someone in this first aid emergency. Now learn the steps to take for Heart attack.